This sounds interesting. I hope your book club enjoys it. 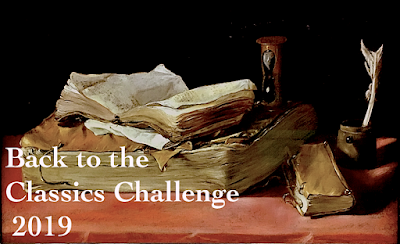 Pat - It should be interesting… we've never discussed a short story collection before. I love the cover. I would pick it up! That intro is full of anticipation...I'd keep reading. I want to read more! I have only read one of Alice Munro's books, Lives of Girls and Women. It's a collection of interlinked stories which some refer to as a novel. I loved Munro's writing. Amy - I've only read two stories and they don't seem to be linked, but I do like her writing. Kelley - Hope you get a chance to read her soon… thanks for visiting. Laurel-Rain Snow - I've been meaning to red her for years, so glad to finally have the motivation to do so. Thanks for stopping by. I haven't read anything by Alice Munro, but I might be tempted after reading this! Spangle - This is my first experience with Munro. Glad my book club decided to read her. I would keep reading to find out why she did not want it to be her. Nise' - I really liked that story! I've been to Greece so I'm hooked right away. Also want to know why Carla hopes it will not be Sylvia. 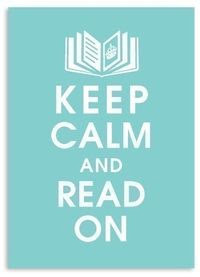 Yes, I'd read more! My Tuesday Intro is a cozy mystery. A very different beginning! Rob - I was drawn to the dynamics of that relationship, too. Good to see you blogging again! I haven't read a short story collection in such a long time. It is an intriguing opening, and the author is quite popular and well-read, so I would be open to reading it. Enjoy. I bought a book of her short stories, but not this one. Wonder if all the stories are connected? Harvee - They don't seem to be in this collection, but I've only read the first two. now you make me curious! Emma - Give Munro a try! Diane - I'm going to be curious to see how the group reacts to short stories in general. Munro is touted as being the master! 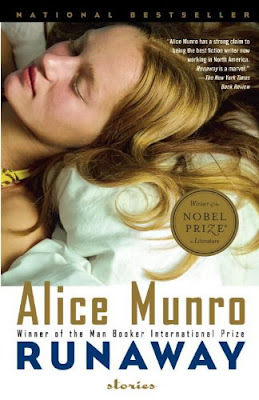 My book club wants to read something by Alice Munro too since she won the Nobel. I will suggest this book as I like the intro to this story. Margot - That's exactly why we decided to read her. This particular collection was chosen because our library system had plenty of copies! I've never read any of her books, and my book club has never read short stories either. I can't wait to hear how it is received...maybe I'll suggest it the next time it is my pick! Sandy - This is my first experience with Munro, too. I'll write a post about our meeting in a few weeks. Now I'm dying to know why Carla doesn't want it to be Mrs. Jameison! 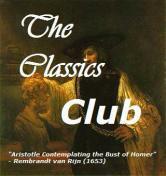 Very interested in reading what your book club thinks!